In Spring time or just before, when the water temperatures have started to rise, it’s a good time to start a pre-baiting plan with your choice of baits. I would use a good quality boilie, to get the fish on the move and in the my net. I find it best to use a mix of 18mm & 15mm boilies. I would try to pick 4/6 swims to bait, which don’t get fished very much. My swim choice would be very secluded and tiny, for these reasons anglers don’t fish them. Make sure there is no access to cast in to these areas, other than from my chosen swims. with the water starting to clear up, it will help you see if the bait you have been putting out has been cleaned up by fish. be-mindful of the bird life, as they help themselves to. I would give it a couple of weeks, before you start fish these swims. If you can, plan to bait up 1-2kg per week of your chosen bait. These will be split over the 4/6 swims, until the lake temperature warms up a bit more. It’s best to take regular water temperatures, with a thermometer, whenever you walk round the lake to get an idea of what is happening. As Spring starts to get going, I reduce the number of swims, down to one. On busy waters it is best to keep 2 swims going. Please try and bait up responsibly and avoid upsetting other anglers. If permitted, by lack of other anglers’ presence. I try and bait up in my lunch hour during the week. 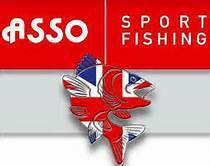 As it best to avoid other anglers on the water, if I can help it, as I don’t wish for them see what I am up to. I also do the same in the Autumn time, just before the Winter sets in. Unless, you are able to get in the best swim all Winter. I have found the best option is to take note of the most popular swim and the hot spots and try to pick a spot near these, which does not get fished a lot. This will give you the upper hand in the Winter, as the hot swim with be filled up with other bait and other anglers. Hopefully, you have created your own area that no one is aware of. This entry was posted in Carp fishing. Bookmark the permalink.